The effects of climate change are being felt in California through record-breaking temperatures, droughts, wildfires, and mudslides as well as diminished snowpack in the Sierra Nevada Mountains which acts as a critical source of freshwater. These impacts are expected to increase in severity as effects of climate change worsen. Local governments across California are taking action and responding to climate change by mitigating their community’s contribution to GHG emissions, and preparing their communities for the local effects of climate change. The County of Sacramento has a history of taking climate threats seriously and responding to environmental threats through local and regional sustainability initiatives. In 2009, Sacramento County responded to the Global Warming Solutions Act of 2006 (AB 32) and other climate legislation by initiating a multi-phase Climate Action Plan (CAP) to meet the State’s targets for GHG emission reductions, and prepare for the effects of climate change. 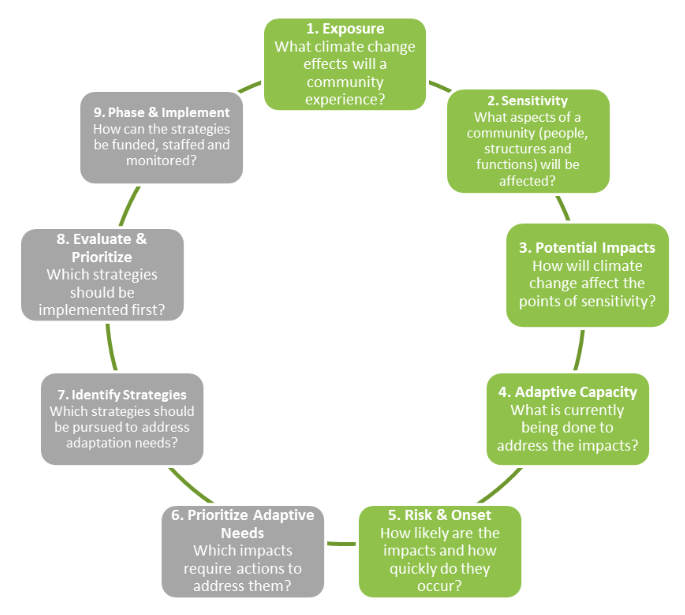 Since the inception of the CAP, the County has worked to establish policies and programs aimed at mitigating GHG emissions, preparing for the secondary consequences of climate change, and developing a more climate-resilient community. The County’s CAP is almost complete, with Phase 1 and Phase 2A already adopted, and development of Phase 2B, the Communitywide CAP, currently in progress. Once the CAP is completed and fully adopted, it will serve as a new opportunity for Sacramento County to demonstrate to other local governments that efforts to reduce GHG emissions and adapt to climate change are opportunities for economic development and continued growth. The County’s CAP represents an opportunity for the capital region to respond proactively to natural disasters and to better ensure its health, safety, resilience, and economic prosperity in the face of climate change. While AB32 was the impetus for Sacramento County to develop a CAP to lay a framework for mitigating emissions and adapting for the impacts of climate change, the County has taken steps to reduce its emissions and improve efficiency for years, particularly with regard to its operations. For example, the County has been working to reduce the impact of its fleet of vehicles since 1999 when it adopted the Heavy Duty Low Emission Vehicle Acquisition Policy. In the time since, the County has had great success with mitigating the emissions from its fleet. By 2016, 61% of the fleet’s emissions has been mitigated, and in 2018, Sacramento County was named the number one Government Green Fleet in North America for 2018 by 100 Best Fleets! In 2009, Sacramento County began the process of creating a CAP in order to meet the State’s targets for GHG emission reductions. Then in 2011, as part of the County’s General Plan update, the initial phase of the CAP was adopted, the Strategy and Framework Document, which would guide the County’s approach to reducing GHG emissions and adapting to climate change in the second phase of the CAP. The second phase has two areas of focus: Phase 2A addresses government operations, while Phase 2B addresses the unincorporated County at large (i.e. communitywide). Phase 2A, Government Operations, was adopted in 2012, and the County is now updating Phase 2A while developing Phase 2B, to establish more specific policies and programs to mitigate GHG emissions and achieve its GHG reduction targets as well as provide more specific adaptation policies and programs in response to forecasted climate change impacts in the region. 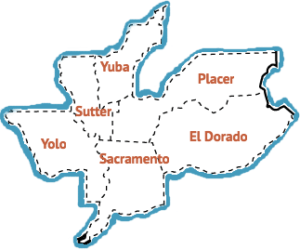 Phase 1 of the Sacramento County CAP, the Strategy and Framework Document, was adopted November 9, 2011. The Document acts as the first tier of the County’s multi-phase CAP, and as such, sets the foundation for Phase 2. The Strategy and Framework Document establishes background information with regard to relevant legislative history, environmental issues, and baseline GHG emission inventory. Phase 1 presents a framework for reducing greenhouse gas (GHG) emissions and managing resources to best prepare for a changing climate. 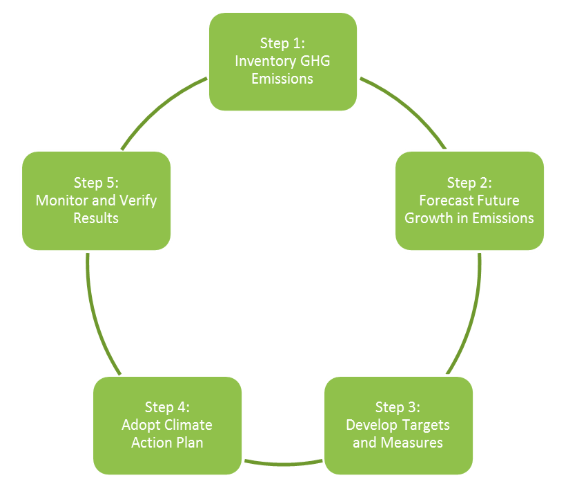 In addition to general approaches to carrying out GHG reductions and adaptation, the Document also highlights strategies for implementation and evaluation of the CAP. Phase 2 of the Sacramento County CAP is comprised of two focused CAPs, the first of which addresses the County’s own operations. The Government Operations CAP lays out a plan for the County to reduce greenhouse gas emissions from operations through a combination of new measures and measures already in place. The County emphasizes that it plans to reduce consumption of fuel, electricity and natural gas through efforts to modernize its facilities and operations. The County will carry out these measures while improving efficiencies, saving money, and providing better services and benefits to its employees and the community at large. This is no insignificant feat – the County encompasses 1,000 square miles of incorporated and unincorporated areas, which are served by about 11,600 County employees (2011) and inhabited by 1.4 million residents (2010 Census). The Government Operations CAP addresses the emissions from the range of facilities across the County, and sets out a plan to mitigate emissions from County buildings and facilities, water delivery facilities, street lights and traffic signals, airport facilities, and the vehicle fleet in addition to County employee commutes. The Communitywide CAP will outline GHG reduction and adaptation strategies for the unincorporated County in response to the threat posed by climate change. The County will achieve the objectives through a combination of regulations and incentives, the specifics of which will ultimately be determined by the Board of Supervisors through approval of the Communitywide CAP. The GHG reduction targets set forth by the CAP will follow the guidance of the State in the 2017 Climate Change Scoping Plan which guides the State towards implementation of the Global Warming Solutions Act of 2006 (AB 32), which requires GHG emissions be reduced to 1990 levels by 2020, and the Global Warming solutions Act of 2006 (SB 32), which requires GHG emissions be reduced to 40% below 1990 levels by 2030 . The County is using a modified version of the process recommended by the Local Governments for Sustainability to guide its mitigation planning of the Communitywide CAP. This process will guide the County as it updates the unincorporated County’s GHG inventory and forecasts, determine GHG reduction targets, and develops measures to achieve the required GHG reductions for the incorporated and unincorporated portions of the County. This process will ultimately help guide the County as it takes inventory of GHG emissions across the county and develops implementation measures which will allow the County to meet the GHG reduction targets mandated by the State. Sacramento County staff has decided to pursue making the Communitywide CAP a qualified climate action plan. 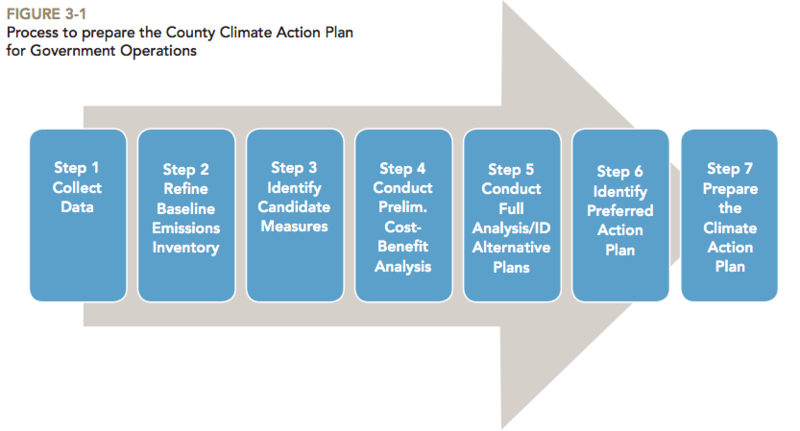 The choice to pursue a qualified climate action plan demonstrates the intent of the County to be transparent, set meaningful goals, and have reduction targets that are periodically reexamined and readjusted. A qualified climate action plan will allow CEQA streamlining benefits to be extended to projects that fall under the CAP. If County projects are consistent with the CAP they will be able to be moved forward without a project-specific analysis of their GHG emissions, which will allow the County to carry out CAP compliant projects more quickly, while ensuring that they adhere to the targets and guidelines set out by the CAP. Phase 2B, the Communitywide CAP, is expected to go before the Board of Supervisors in 2019 for a workshop so that County staff can receive feedback and direction. Once the CAP is fully adopted, the next steps will include implementing the measures within the CAP, and then monitoring results. Sacramento County has progressed through the CAP process with the help of several partners. The County has worked collaboratively with the Sacramento Municipal Utility District (CRC member) to explore electric options for the region as the County takes steps to significantly cut GHG emissions. Ascent Environmental (CRC member) has served as the County’s consultant for the project – part of Ascent’s involvement in the CAP has involved composing a Climate Change Vulnerability Assessment for the County. Additionally, the CRC, the Sacramento Metropolitan Air Quality Management District (CRC member), and various advocacy and stakeholder groups have provided review and feedback on portions of the CAP.